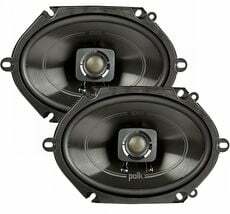 Rock your boat with quality speakers! 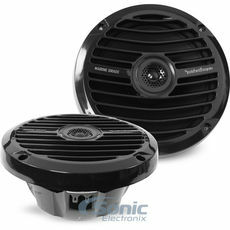 Find tower and water-resistant marine speakers online. 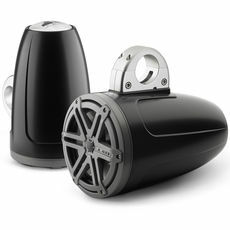 Marine audio speakers are designed and manufactured to provide quality audio while on the water in harsh marine environments. 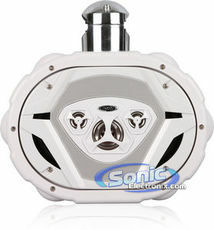 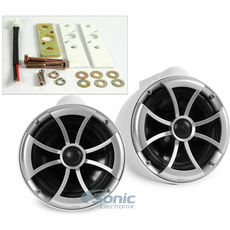 Using special coatings and materials, these boat speakers will give you the best sound your boat could ever ask for! 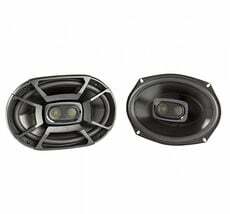 Information about Marine Speakers: A marine speaker is made with water-resistant and weather-resistant materials to ensure long lasting audio playback. 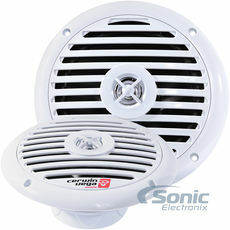 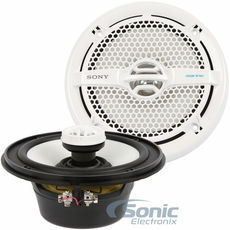 Many of our Marine speakers feature plastic cones and rubber surrounds for optimal durability. 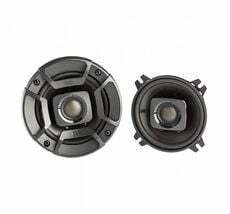 Enjoy your musical tunes in boats, motorcycles, spas, and saunas, because these speakers can withstand light rain, moisture and damaging sun rays. 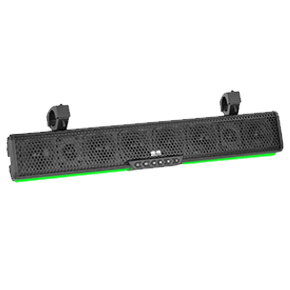 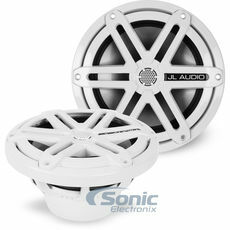 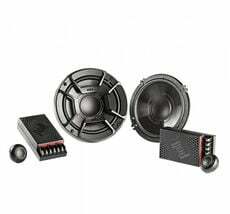 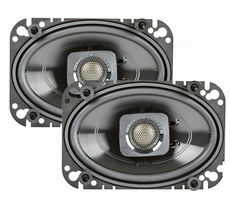 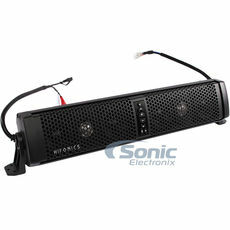 Marine speaker sets are built with materials that are water, fog, salt, and UV ray resistant. 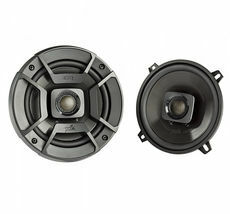 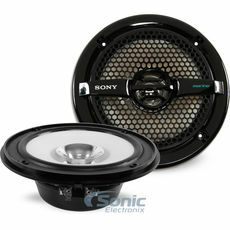 These durable speakers prevent rust and overall wear and tear. 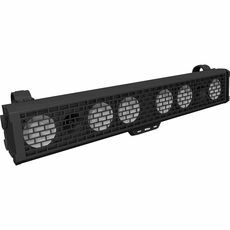 The outstanding durability of the marine audio line allows you to enjoy your favorite music throughout every outdoor adventure. 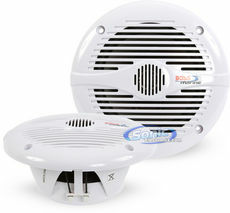 To be sure, marine audio helps guard against water damage, but it is not completely infallible. 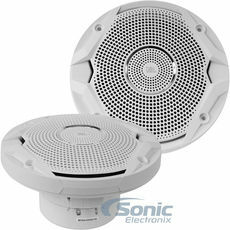 Water resistant models only protect against moisture. 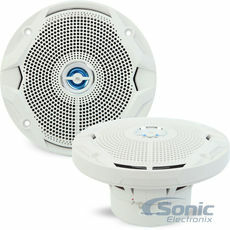 They will guard against rainfall and water splashes, but the units are not completely waterproof. 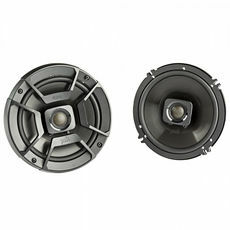 To illustrate, you cannot completely submerge your speakers and expect them to continue to function.